Here’s what we tend to do to help someone in foreclosure – but is still short of property auction or post-auction eviction – who might become foreclosure fighter, if they’re loan is with Wells Fargo. If they are with another bank, SF ACCE may also have the ability to also help them engage in direct negotiations with someone with power at their lender – B of A, Chase, Aurora, for example. SF ACCE has also helped people fight evictions, and reclaim their homes after an eviction. But those fights are not discussed in this memo. 4) help them get their auction date postponed, find out if it actually is postponed, and until when. I have attached my roster which has the contact names and info at the two nonprofit counselors we use – MEDA and SFHDC – as well as some other useful folks. MEDA recently told Grace that they are no longer accepting clients, but Ed Donaldson at SFHDC available. MEDA has bilingual staff. B. Help them into “escalated” review under the WF CEO’s office. Up until now, that has virtually guaranteed that WF will postpone their auctions date/s until the end of that review, although we often don’t find out that one has been postponed until the day before or even the morning of. Getting them connected with Pelosi’s Office and her staffer Alex Lazar should do get them into this escalated process, as well as get him a single point of staff contact in the CEO’s office. This assistance also requires a 3rd party authorization form, for Pelosi’s Office and becoming a counseling client. C. Help them get onto the Mayor’s Office/staffer Jeff Buckley’s list of cases which he is pursuing individually with the lenders. This assistance also requires a 3rd party authorization form for the Mayor’s Office, and becoming a counseling client. I have attached 3rd party authorization forms for SFHDC, Pelosi and the Mayor. This form authorizes a 3rd party to engage in conversation with the lender about his modification request, and their case in general. Someone who receives 3 rd party authorization has no power to make decisions on a loan modification request. The foreclosee reserves that right entirely for themselves. D. Help them get into an ongoing conversation with that single point of contact at Wells Fargo. E. If and when they receive a trustee’s notice of property auction, in addition to helping them get it postponed and/or blocking it, we need to help them track when it is scheduled to occur. A lender carries out a property auction through a trustee. The trustee is required to make only a single public notice, with the SF Recorder/Assessor’s Office, of an auction date – the first date when they can carry out an auction. They are not required to report any subsequent changes in that date. OB and SF ACCE have paid for access to a data base that purports to report rescheduled auctions, but sometimes it is faulty and/or takes a few days to report the new date. Even a verbal statement by a lender’s staff person that they have postponed the auction date is sometimes not accurate. The best way that we have found to track an auction date is through the phone number and/or website contained in the trustees notice of the initial auction date. F. Finally, how do you see if the foreclosee will become/help a person become a foreclosure fighter? Becoming a foreclosure fighter helps a person: 1) save their own home in foreclosure, AND 2) win reforms and ideally permanent structural changes in the current predatory, unfair and largely racist foreclosure system. We aren’t counselors. We are leaders in fighting organizations. With our current power, we can’t help everyone who is in foreclosure. We can help individual foreclosees, if they fight. We can only win the complete restructuring of the foreclosure system by organizing and building the power to win on individual cases, and reforms of the foreclosure system – like a moratorium, or the postponement of auctions or evictions, or the reoccupation of homes form which folks have been evicted. It is only by fighting with power that we can change the entire foreclosure system into one that is fair, just and non-discriminatory. We can only win if the people in foreclosure step up and fight for themselves, and other people in the same fix that they are in. We must help them become leaders in the fight. And it is only by them become the face and voice of the fight to end the foreclosure crisis that the lenders, the public, and potential allies like the Board of Supervisors and the Mayor will ever understand who is being hurt by foreclosure, and what it is doing to our communities. So, sadly, we must pick and choose with whom we will work. We will work with them if they fight, and become active members in and leaders of our organizations. In developing foreclosees into foreclosure fighters, we are not hurting their ability to win their individual cases. Only 13% of the foreclosees who work with an SF HUD certified nonprofit counselor “escape” foreclosure by attaining a loan modification or some other settlement. The counselors tell foreclosees that they will increases their chances of winning if they: 1) fight back, and 2) join an organization like Occupy Bernal and SF ACCE. Lenders pay at least some attention to foreclosure fighters because they want them – and their organizations – to go away! As you can see, the small changes we have won, and the process above, has helped individual foreclosees help themselves. SF ACCE has helped foreclosure fighters win loan modifications, even for ones that lenders have evicted from their homes. OB has helped foreclosure fighters win modifications, but so far only for people who had the income to qualify anyway. We must test the folks that we try to help. Tell them straight up that we can’t “save” them, but we will help them fight back. And that we want them to become foreclosure fighters. Tell them what we mean by that term. Give them opportunities to do so. Invite them to the next meeting of our organizations. Ask and train them to speak to their neighbors; the media; elected officials; and representatives of the lenders. Give them the opportunity to participate in the planning of actions against the lenders, and active roles in those actions. By Buck Bagot – 415/385-0389 OR BUCKB@DEVINEGONG.COM. Here are some instructions to get the digest form (one email per day) of any Occupy Bernal email list. Also, how to unsubscribe. These instructions work for all lists. However, in this example, we will use the General Assembly list ga@lists.occupybernal.org to illustrate how to do it. We are working on a simpler way; please bear with us. For now you need to use the mailing list website to set your own subscriptions. This should take less than five minutes. Enter your email address and click the Request first password button. Click on the link in the email, which will send you to the mailing list web page. Type in a password of your choosing and click the Submit button. In the navigation, click on the Lists of Lists link. Find the name of the list (such as ga@lists.occupybernal.org) for which you want to change your subscription mode and click on the name of the list. In the drop-down menu labeled Receiving mode, choose either digest MIME format or digest plain text format and click the Update button. Take a deep breath, relax, and feel good about continuing to help our neighbors fight the banks so they can stay in their homes, while not getting too many messages in your inbox. In the left navigation, click on the Unsubscribe. Make sure to check the website on a regular basis since you will no longer hear about what is going on through your email. Know Someone Facing Eviction or Foreclosure? The Occupy Bernal General Assembly (GA) met for the first time last Wednesday, December 21. 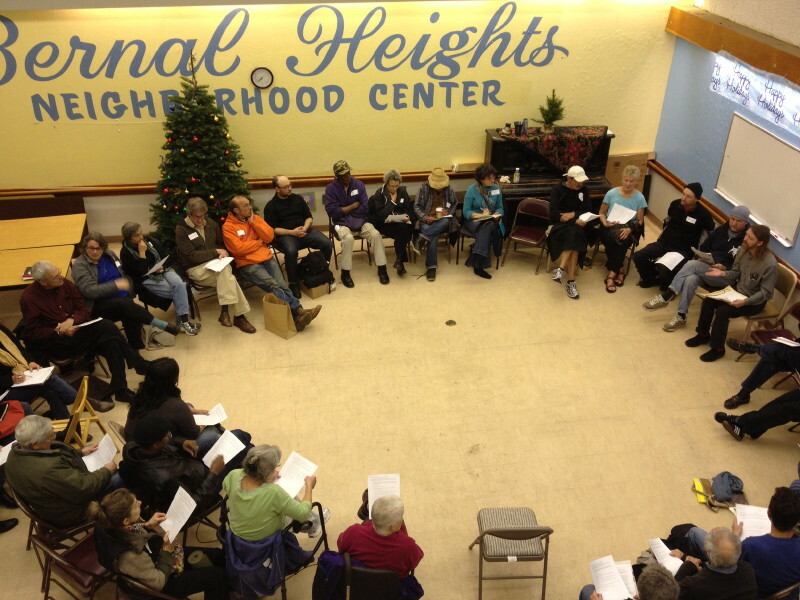 About 60 people attended the meeting at the Bernal Heights Neighborhood Center. Many participants focused on the issue of keeping Bernal residents in our homes by preventing pending foreclosures and evictions of owner-occupied properties and rental-unit properties. The GA set up six workgroups and set a next meeting for 7:00-9:00pm on Wednesday, January 11, in the same location if available. For more information, check out the minutes of the meeting and media coverage from the Huffington Post, the SF Weekly, and Bernalwood. A great way to get involved in Occupy Bernal is to join one of the six workgroups created by the General Assembly (GA) meeting. Click on the link below to read more about the GA or a workgroup and to subscribe to the email lists that are right for you. Communications: organizing press, newsletter, website, email lists, social networking, etc. If you don’t see a meeting listed for the workgroup you’re interested in, then join the workgroup email list and help organize a meeting! Upcoming events are displayed near the top of the right sidebar of the website where you can click on an event to see more information or you can display the full-size calendar. 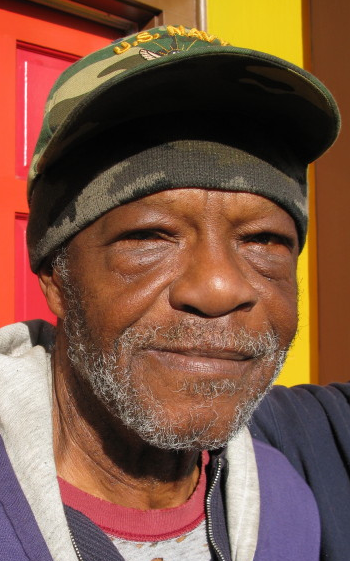 For this issue, we offer a profile of Occupy Bernal member Thomas German who is facing foreclosure of his home. Thomas German was born in Mobile, Alabama, a bit after New Year’s Day of 1940. After serving in the U.S. Navy, Thomas, aka “Tommie” or “German”, found employment as a die setter at the San Francisco Mint. 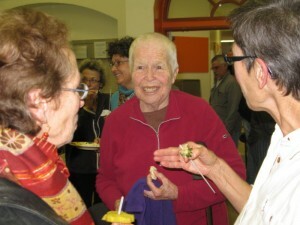 He rented a home in Bernal in 1967. Living in the neighborhood for some years, he decided to purchase the home he was renting on Andover Street in 1974 for $21,000. How did he end up in foreclosure? You can click here to read the entire profile. Are you facing eviction or foreclosure? Do you know someone who is facing eviction or foreclosure? Occupy Bernal is here to help owners of owner-occupied properties and renters in rental-unit properties. Please fill out the Add/Edit Property to Map and Listing form so that the Housing and Foreclosure Workgroup can research the situation and keep our Bernal neighbors in our homes. 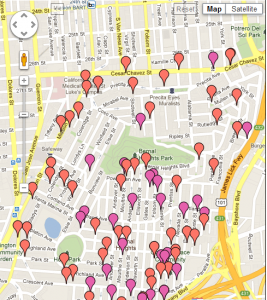 Check out the Map of Bernal Owner-Occupied and Rental-Unit Properties Facing Foreclosure or Eviction that the workgroup is already investigating. Cash donations are also accepted to cover photocopying, Internet, venue reservation, and other organizing costs (no salaries or other overhead). Join us on Facebook at facebook.com/groups/occupybernal. The Occupy Bernal Twitter feed to follow is @occupybernal. Here is the digest form of the minutes of the Occupy Bernal General Assembly on December 21, 2011. Thanks to Kat, our notes taker! Molly, Steve, and Stardust took photos; no one objected to having their picture taken for use on the web or in media. We approved 80/20 consensus. So…the consensus level of support needed to pass a proposal in the Occupy Bernal General Assembly will be 80 percent in favor. Vote was: 2 stand aside; 1 “disagreeable”; all others in favor of 80/20. Created Housing and Foreclosure Workgroup. Unanimous vote. Created January 20 Action Workgroup. Unanimous vote. 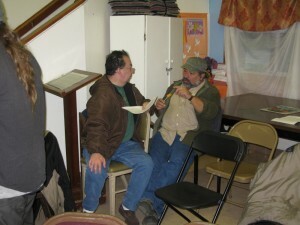 Next Occupy Bernal Meeting: January 11, 7-9 pm. Location to be determined although intention is to reserve the Bernal Heights Neighborhood Center again. Unanimous vote.